Jennifer Robarts & H-E-B executives at Hormel Foods World Headquarters. 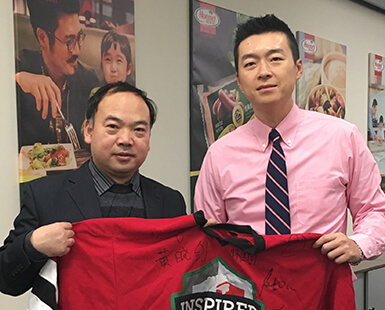 But Jennifer, a senior customer executive for consumer product sales (CPS), had justified expectations about receiving the jersey, as she had just recently begun her career at Hormel Foods. Jennifer had spent the previous 15 years with H-E-B Grocery, where she held several positions in procurement and worked extensively with Hormel Foods. Jennifer’s transition from H-E-B to Hormel Foods not only brought a wealth of knowledge and better understanding to the consumer product sales group, but it was done without damaging her relationship with H-E-B, an important caveat as that is the account she was hired to manage. Jennifer’s manager at H-E-B fully supported her move, stating it was an opportunity that she shouldn’t pass up. The move also had to be supported by leadership at Hormel Foods due to the importance of preserving relationships with key customers such as H-E-B. “Everything just fell into place perfectly,” Jennifer recalls. With years of relationships and an enhanced knowledge of H-E-B’s expectations and business model, Jennifer strategically leveraged her experience and hit the ground running, swiftly producing impressive results for the CPS group. You’re part of a family here and it’s truly a team environment. 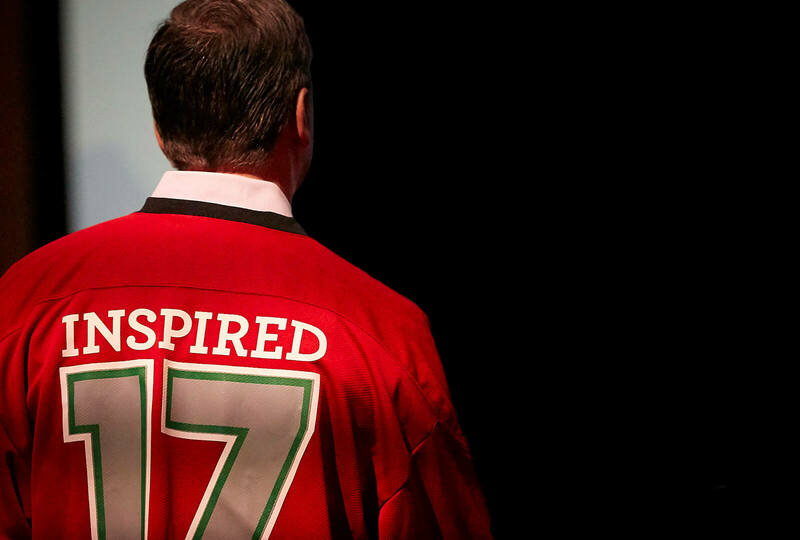 Jennifer’s impressive results, coupled with her high energy, attention to detail and strong passion to succeed everyday presented Kurt and the CPG leadership team with an easy decision for whom to recognize with the Pride of the Jersey. But they wanted to make it a special presentation and a surprise. 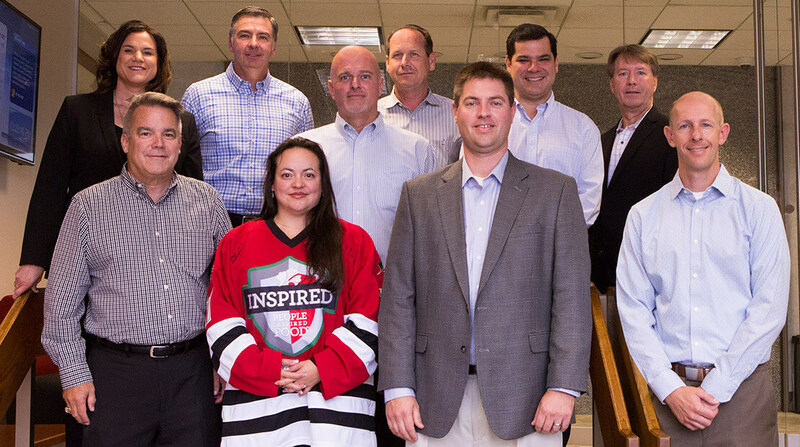 At a typical customer meeting with H-E-B executives at Hormel Foods Corporate Office (Austin, Minn.), Hormel Foods CEO Jim Snee casually stopped by and witnessed Jennifer receiving the jersey. 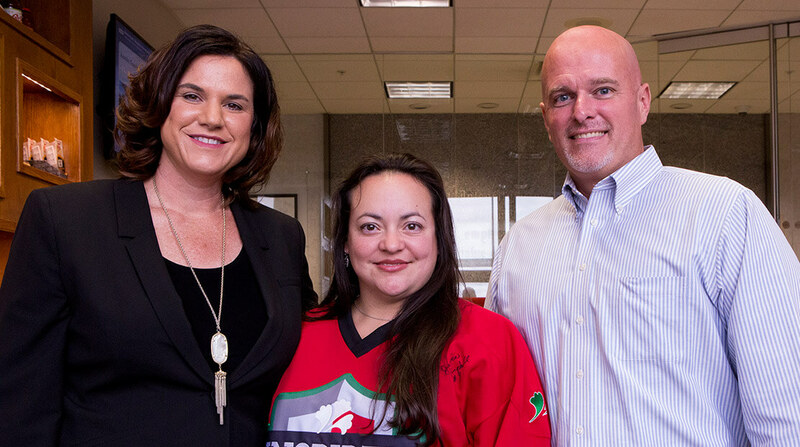 Hormel Foods & H-E-B executives surprised Jennifer with the Pride of the Jersey. 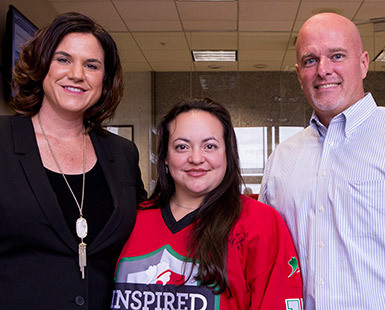 While leaving H-E-B – Jennifer’s comfort zone and the company she had spent a decade and half working for – was difficult, receiving the jersey validated her move. Away from Hormel Foods, Jennifer enjoys spending time outdoors with her husband, Lawrence, and her two kids, Madison, 7, and Jackson, 6. And though she doesn’t claim to be a fortune teller, being able to tell her husband, “I told you so” made receiving the jersey even sweeter.